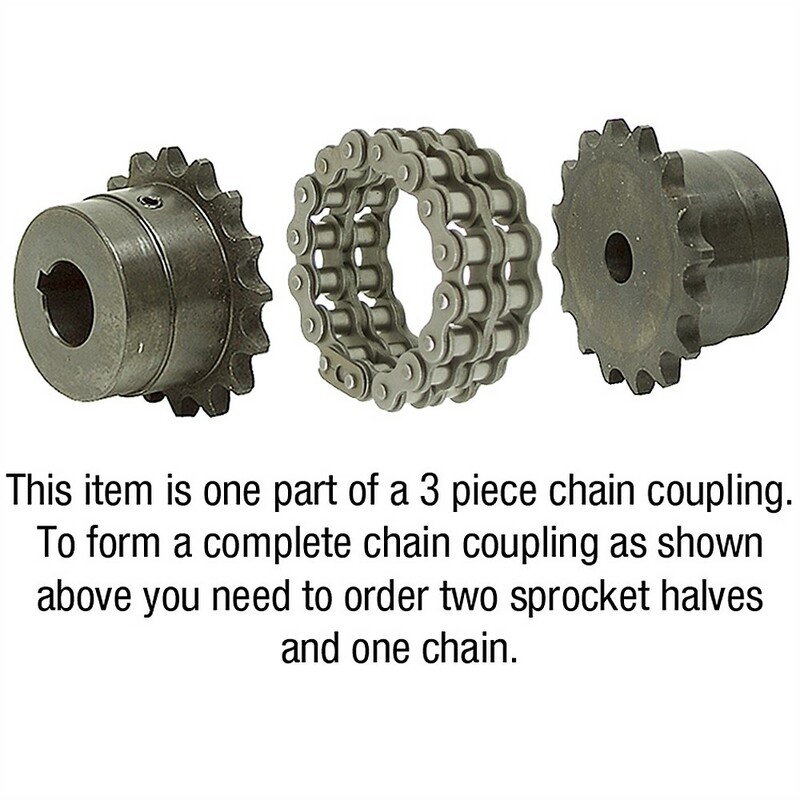 Roller Chain Couplings allow excellent torque and angular misalignment capacities. All couplings have a keyway with standard ANSI dimensions for a more secure hold on keyed shafts. Chain Lube or Grease is required. To create a complete coupling, order two hubs and one roller chain. Plus you can order a cover which allows for lube and extended life you need. • Cover allows for lube and extends life seals included fits.